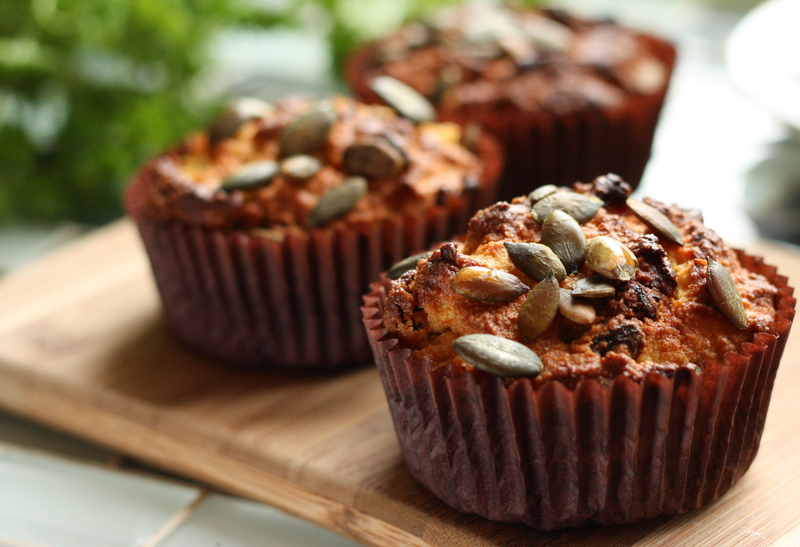 I’m slowly trying to ease myself back into eating super healthy so I thought these Gluten Free Skinny Carrot Muffins would be a great way to get back into the swing of things. These Healthy Skinny Carrot Muffins are made with ground almonds and olive oil, instead of flour and butter. I also used a new sugar/stevia blended sugar product in the UK from Tate+Lyle. Stevia has been readily available in other counties but has just been approved for use in the UK. For those of you who are not familiar with Stevia, it’s a natural sweetener that comes from Stevia plants. Stevia will not raise blood sugar levels and is pretty much calorie free. It’s extremely sweet so you don’t need to use very much of it. It does have a bit of an unusual aftertaste but not unpleasant. It’s a way better alternative to artificial sweeteners (in my opinion). If you are not too concerned with sugar, just use the real deal and you’ll still have a yummy snack to enjoy with your morning coffee. Preheat over to 180F or 350C. Peel and finely grate carrots, being sure to absorb any excess water with a paper towel. Place raisins in a microwave safe dish along with the rum and microwave on high for about 30 seconds. Let sit. With an electric mixer, beat together oil, sugar and eggs until light and airy. It’s the air from the eggs that will make this cake rise. 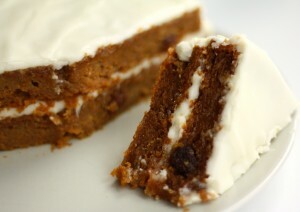 Carefully fold in ground almonds, carrots, raisins with reserved rum, nutmeg, vanilla, lemon zest/juice and salt. If your batter is on the runny side, add a bit more almonds. Using a large muffin pan, line with paper muffin holders and fill each about 3/4 full. Sprinkle with pumpkin seeds and bake for approx 35 minutes or until brown. Use the toothpick test to see if they are done – toothpick should come out clean.